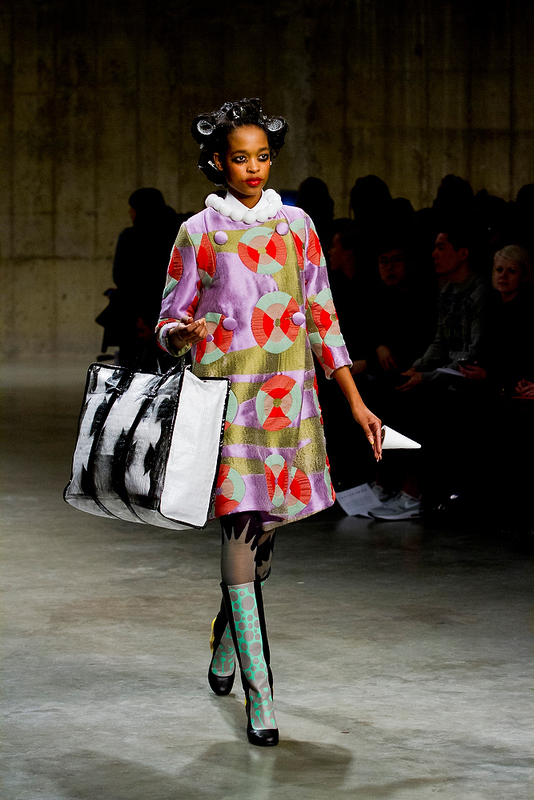 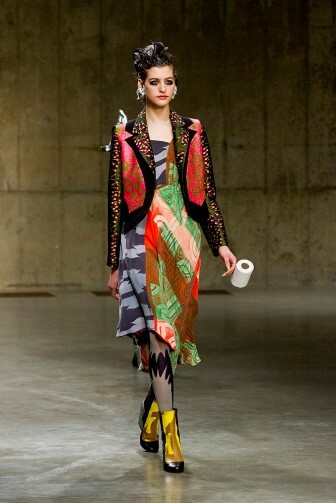 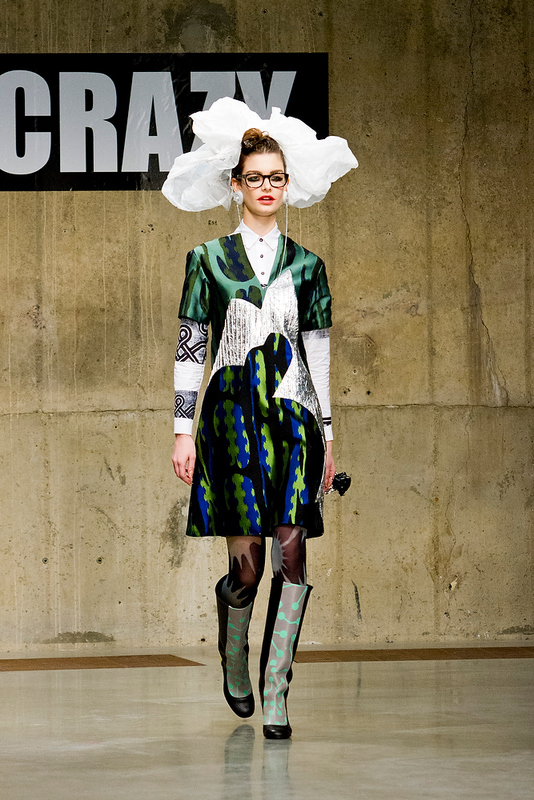 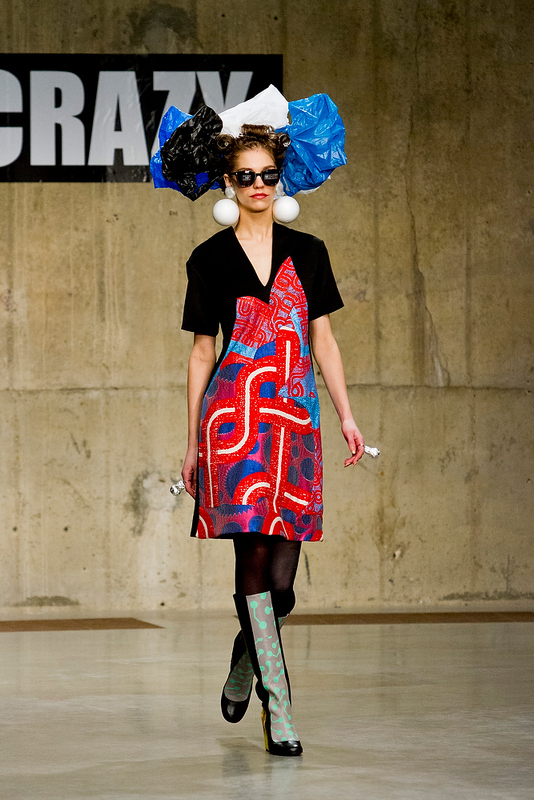 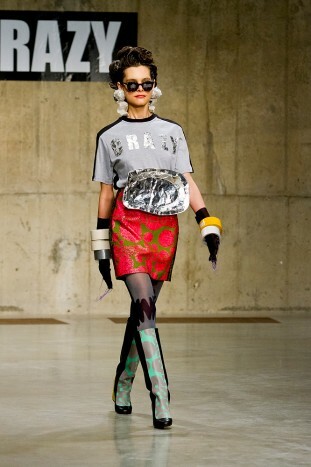 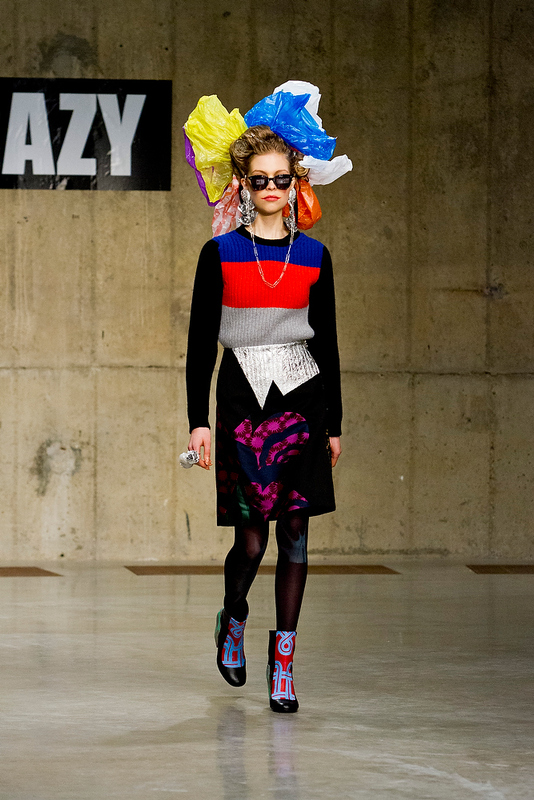 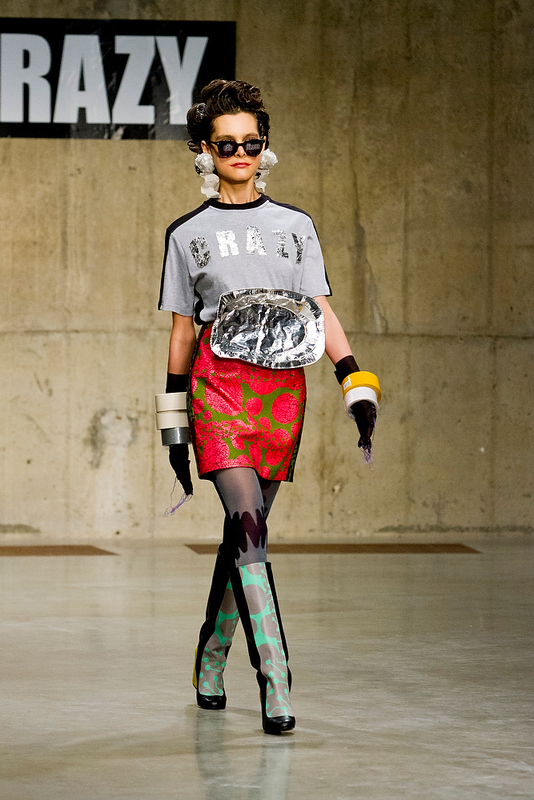 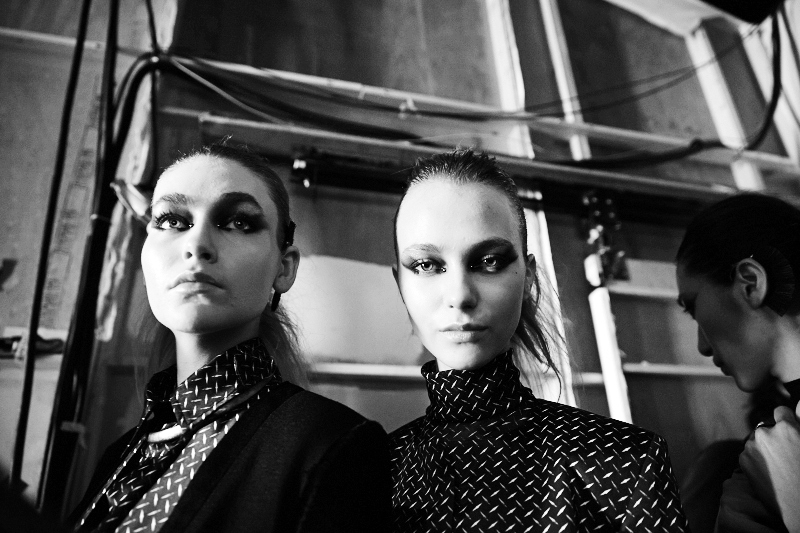 Housed in the warehouse-esque setting of the Tate Modern, Louise Gray’s “Hey Crazy” collection certainly brought the crazy to London Fashion Week. The grey walls of the Tate provided an eye-popping contrast to the bright colours and clashing prints adorning the models. 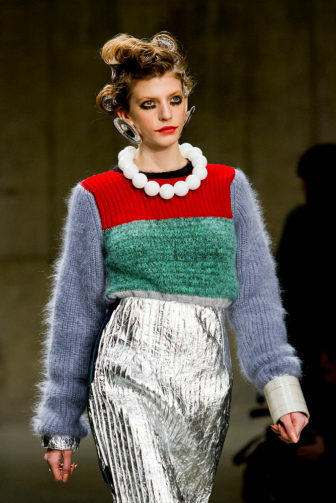 Chunky knits were tucked into metallic skirts, and sharp tailored pieces featuring “tube map” print panels gave a ladylike edge. 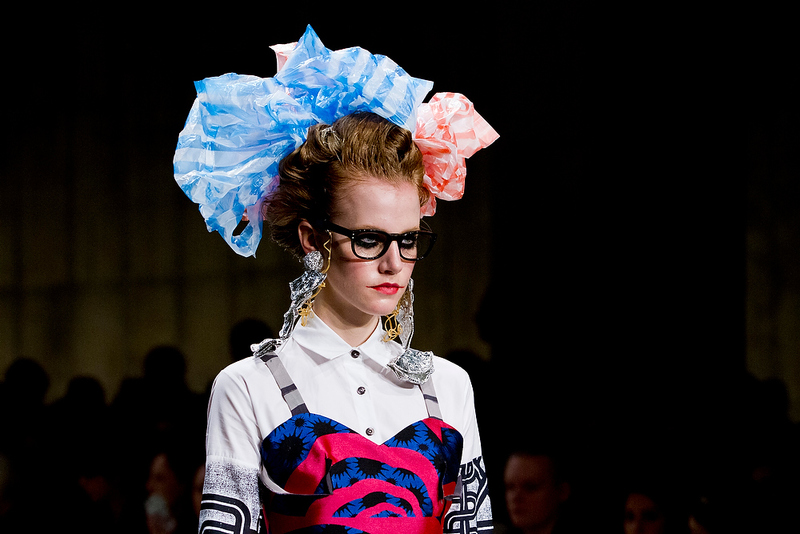 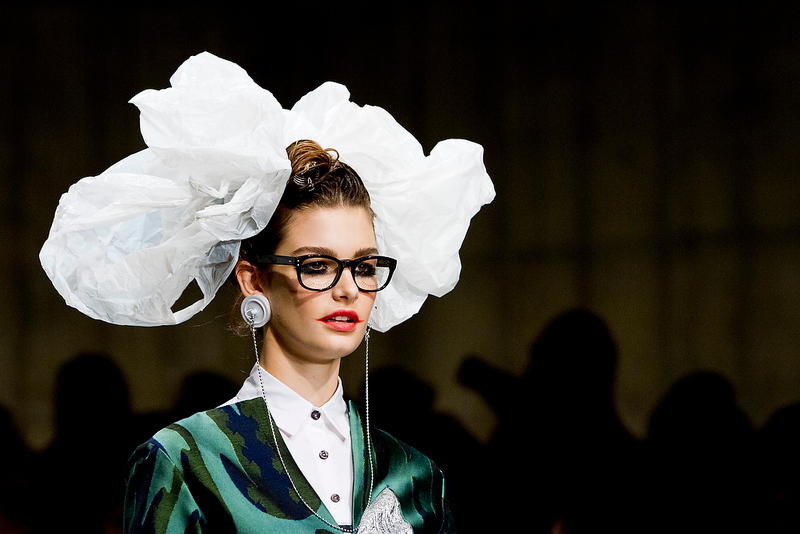 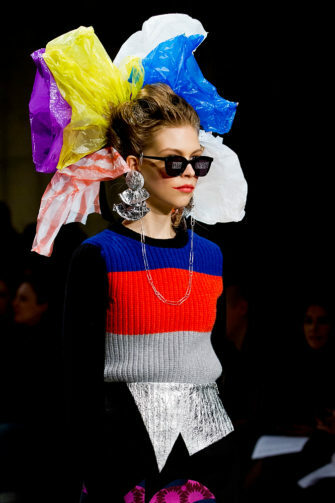 Oversized accessories made from household items completed the looks, including masking tape bracelets, elaborate garbage bag headpieces and even toilet roll brooches (say what?). The hair and make-up was equally as strange, with rollers left in hair and a slept-in look to the eyes teamed with jester-like lips. 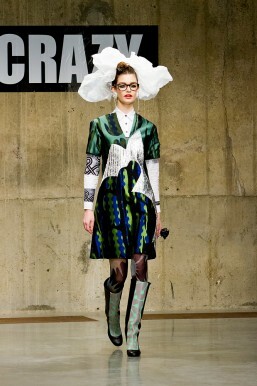 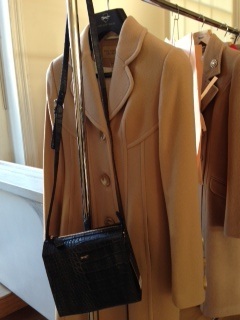 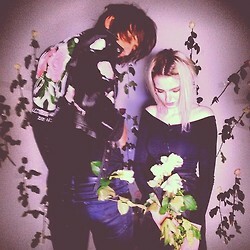 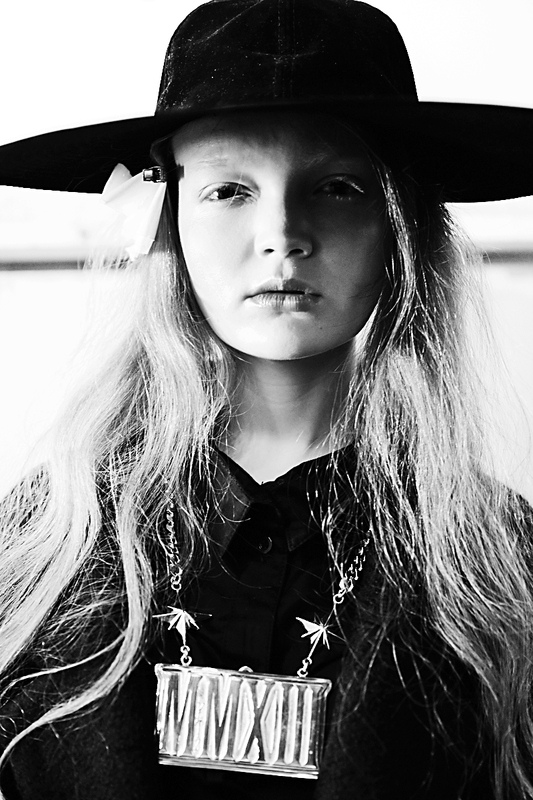 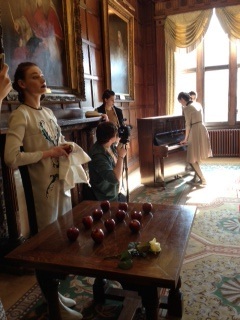 As always with Louise Gray, the collection was a mash-up of bizarre and fun, and left all who watched rather baffled. 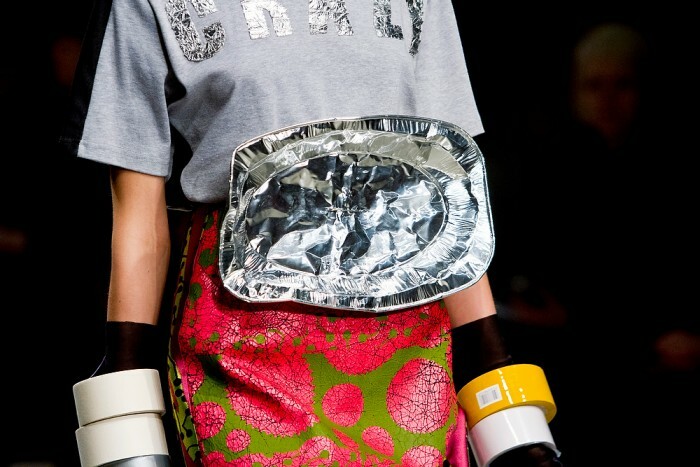 Our verdict: Crazy good.